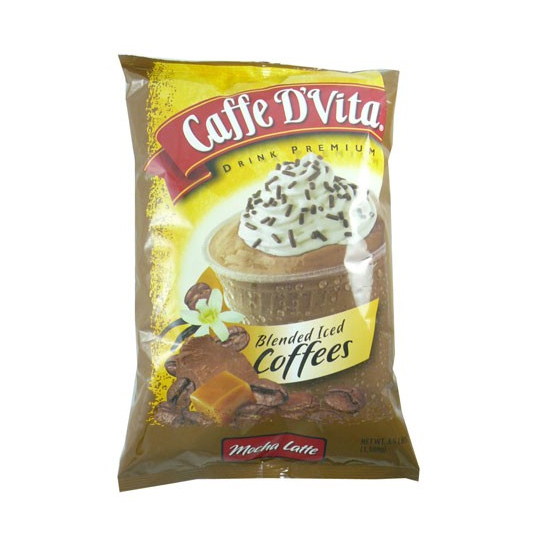 Caffe D'Vita Blended Ice Coffee Mocha Latte features Arabica coffee, unique creamer, and premium ingredients. Simply combine with ice and water to blend a delicious smooth and creamy beverage. Low fat, no hydrogenated oils, no trans fat, gluten-free.